Hello darlings! 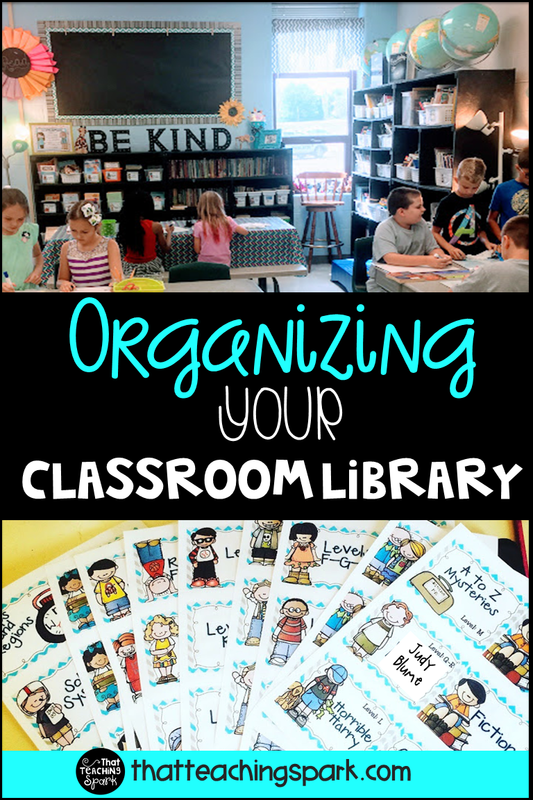 If you're a new teacher or just new to third grade, you might be wondering how to organize your classroom library. Everyone is different but I will tell you what I do in my room. Do You Have Picture Books in 3rd Grade? Yep! There are soooo many picture books are at levels P-Q but students always think that picture books are babyish in third grade. I have a plethora of picture books in my room with all different reading levels. I make a big deal about this at the beginning of the year and I tell kiddos NOT to decide if a book is too easy based on it's thickness. With that being said, I think your library should be about half and half. I have many chapter books all the way from level J-U in my library. I label many of them in bins with the author or theme and I place the reading level on it. Many of my chapter books that are not part of a series or author study are simply placed in the shelf like most library books. Do You Level The Books? Yes and no. I level about half of my chapter books and leave the rest for students to decide what books are interesting and a good fit for them. My picture books are not leveled. They are sorted by topic such as Mammals, Solar System, Plants, Government, Famous American, etc. I store most of my picture books in large white Sterilite containers that I purchased mostly from Wal-mart. There are a few Target ones mixed in as well. For my chapter books, I use plastic shoe boxes from Wal-mart. The large white bins have lasted me 14 years so far and they are packed with books! Where Did You Get Your Labels? I made my labels in PowerPoint but you can get them for free here. Where Do Kids Keep Their Books? I have book boxes for my students labeled with their student number. These are simply ice cube trays that I purchased from Target when I first started teaching. They are very sturdy and hold heavy books and are durable when kiddos inevitably drop them. I have never taken a really great pic of them. But you can see that all I did was take an ugly metal shelf that my school gave me and I wrote students' numbers on the shelving. They store the book boxes there until we need them. I DO NOT let my kiddos keep books INSIDE their desks. In Desks= Book Death Trust me. My dad and I created the books shelves about eight years ago. It was THE BEST thing I have ever done! I LOVE them because they are on wheels and close together. I can lock them and then the custodians can simply wheel them out the door at the end of the year so they can wax the floors. It was soooooo nice to come in this year and just open the book cases. I didn't have to reorganize my library or unpack books. 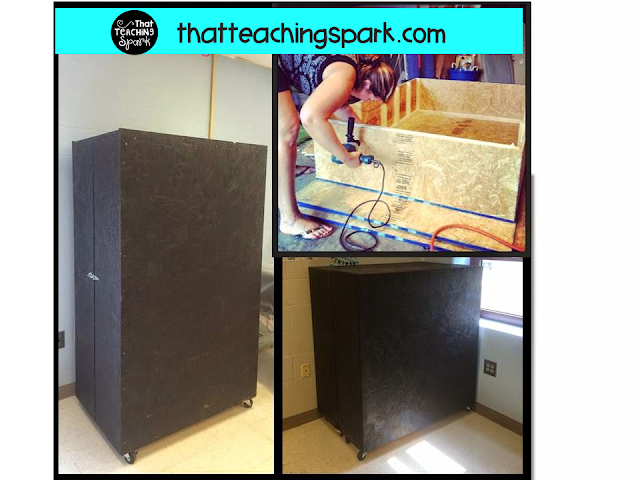 That has ALWAYS been the longest job for me when setting up the classroom and packing up each year. I hope this was helpful for you! I plan on writing another post on all the read alouds I do throughout the year.